Autobiographer recounts historical events that informed the upbringing of Taiwanese in the United States in new memoir. (1888PressRelease) January 23, 2019 - DALLAS – Like many from Taiwan, Dr. Chiufang Hwang’s parents immigrated in the United States in the late 1960s to flee the regime of a dictator who used murder, brutality, and fear to stay in power and quell any political or social dissent. But the impact of the legacy of oppression didn’t end on America’s shores. In Escape from Taiwan, Hwang recounts how her parents’ generation may have found refuge here, but never felt truly safe, creating an outlook of fear among the children of these Taiwanese immigrants as well. Part memoir, part family history, the book recounts Hwang’s journey to understand the historical events that informed her upbringing, and in the process, how she gained a greater appreciation for the ideals represented by the Statue of Liberty to generations of immigrants. 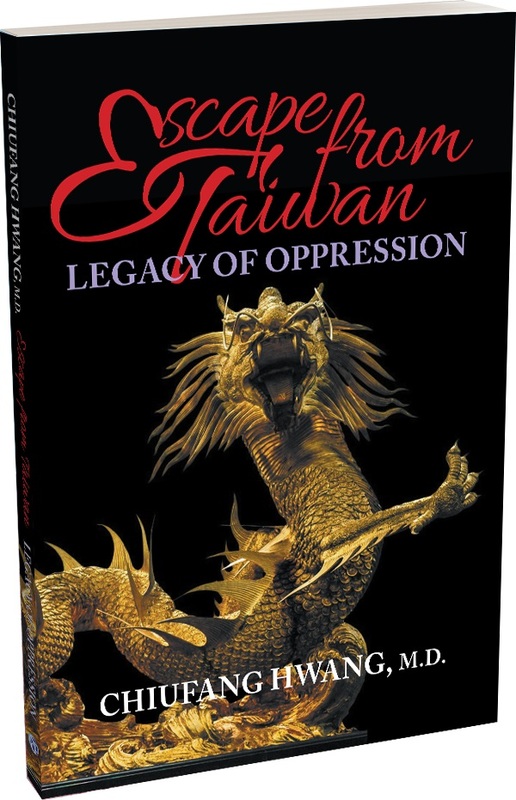 Escape from Taiwan: Legacy of Oppression can be purchased online through SDP Publishing, Amazon, Barnes and Noble and other retailers. Dr. Hwang previously published the books American Sweetheart, Grown-Up Child, and Finding Janine. For more information about Dr. Chiufang Hwang, visit www.chiufang.com or connect with her on Instagram and Twitter. Chiufang Hwang, MD, received her doctor of medicine degree from the University of Texas' School of Medicine and completed her residency in psychiatry and a fellowship in child and adolescent psychiatry at the University of Texas Southwestern Medical School in Dallas, where she lives with her husband and two sons.